Egg-citing Star Wars statues! 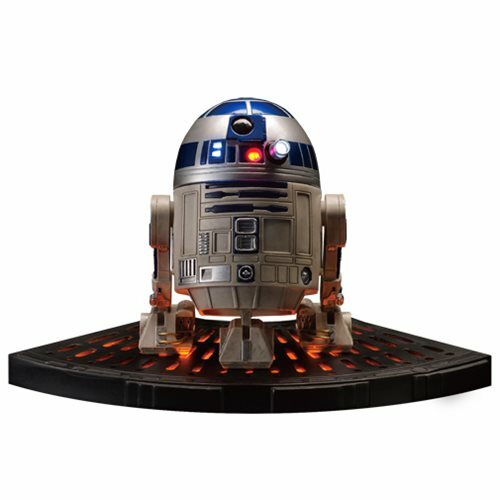 Beast Kingdom Toys is proud to present the Egg Attack Star Wars series EA-015 Star Wars R2-D2 statue! This collectible statue is constructed with compound material and painted with expert technique, perfectly representing R2-D2's classical blue and white plating. The lighting function of R2-D2 matches 100% the original movie setting. It also has built-in classical sound effects officially licensed by Lucasfilm! To complete your display, Beast Kingdom Toy has included a classical Carbon-Freezing Chamber light up figure stand. Measures 5-inches tall. Requires 3x LR1130 (AG10) batteries for the figure and 2x CR2032 batteries for the base. Ages 15 and up.